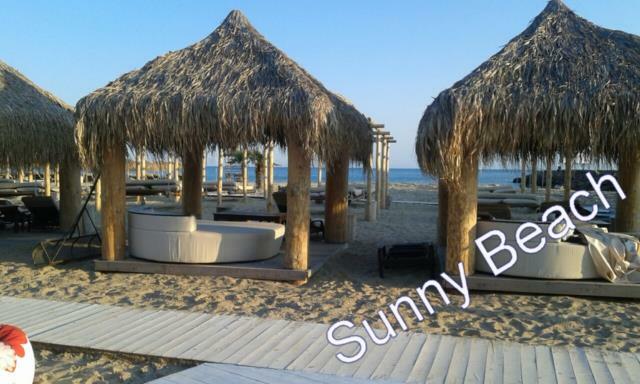 Sunny Beach Resort 4, 5 & 6 is a gorgeous and luxurious gated complex that is located in a quiet area, 300 m from the sea and the beach, in close proximity to the center of Sunny Beach. The holiday complex is placed only 20 m from the already constructed and operating complexes "Harmony Suites 1" and "Harmony Suites 2", as well as the complex "Harmony Suites 3". As far as the style and concept are concerned, the new complex Harmony Suites 4, 5 & 6 will be connected to the rest of the mini-resort. 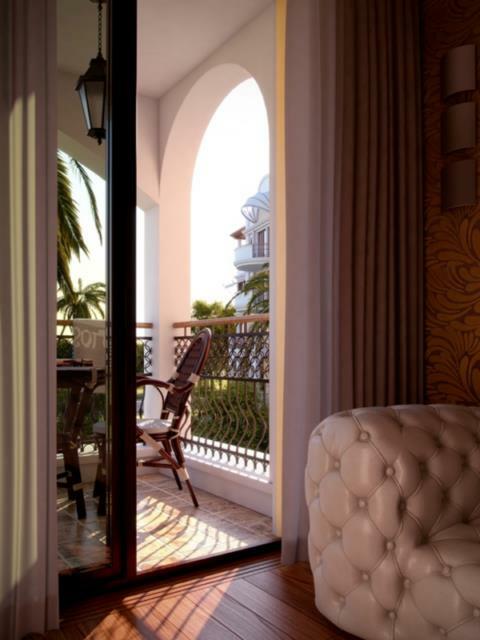 It will feature a delightful Mediterranean architecture and shall provide the owners and their guests with many comforts, numerous amenities and beautifully kept garden area. This is a gated complex that consists of three buildings, each on six floors. 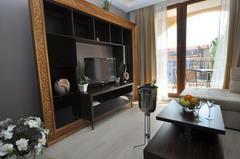 The apartments are of several different types - studio, one bedroom and two bedroom apartments. Harmony Suites 3 is a wonderful gated complex that is located in close proximity to the already established and operating complexes Harmony Suites 1 and Harmony Suites 2, forming a mini resort. 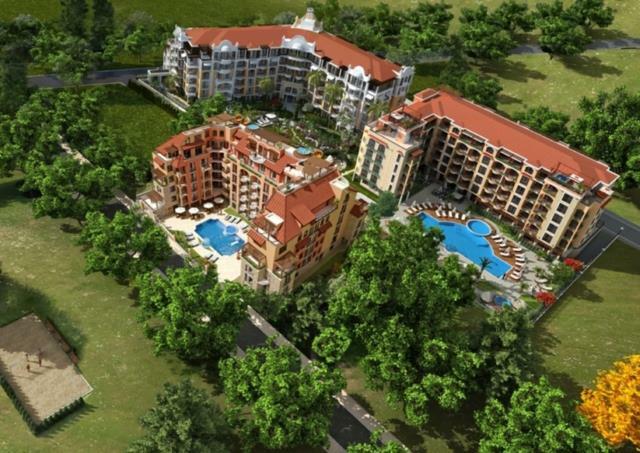 The complex is architecturally and conceptually connected with the two other buildings and is located in the western and most prestigious part of Sunny Beach. It is only 7 minutes' walk from the beach and in close proximity to a variety of nice shops, elegant restaurants, trendy bars and clubs. Complex Harmony Suites 3 will enjoy Japanese-style garden, located next to the building. There will be artificial waterfalls and streams, bridges and fountains, mini amphitheater with giant chess playboard, beautifully landscaped lawns, summer house, jacuzzi and rattan furniture, glass cave vault, trampoline jumping, house of Hobbits. The complex is further located near a park of 800 sq.m, which is set a few meters from the neighboring complex Harmony Suites 1. There are to be found a volleyball court, a football playground, barbecue, small house for children and a small zoo. Children will further have additional swings and slides. The complex enjoys southern disposition and is built on six floors, with a total of 122 apartments, including studios, one bedroom and two bedroom apartments. 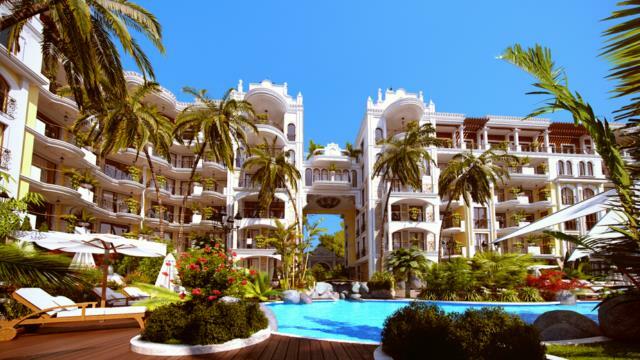 • Location in the western part of Sunny Beach, 7 min walk from the beach and the sea. 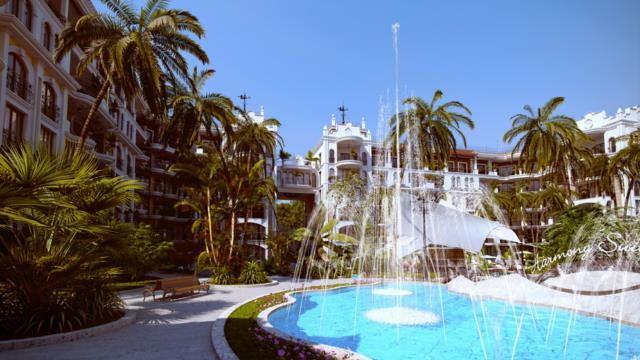 • An interesting architecture and good layout of the apartments, many extras. • High quality of the construction, luxury building with excellent materials. 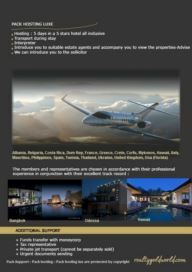 • Options for furniture, maintenance and rental of the property on a hotel basis. • Construction company with an impeccable reputation, which has built residential complexes Harmony Suites 1 and Harmony Suites 2, distinguished by its style, functionality and excellent quality construction and finishing. Elegant and modern complex 2 is located in Black Sea. 2 buildings close together. 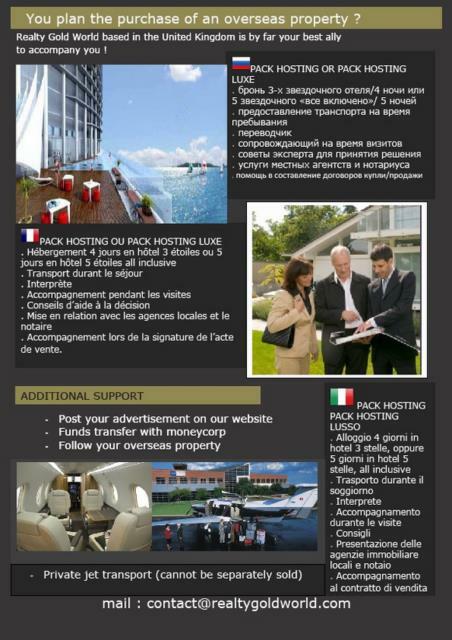 The complex offer luxury service and quality.